At Community Acupuncture of Towson (CAT) we strongly believe that every individual should have access to quality healthcare, including alternative treatments such as acupuncture. Acupuncture, a natural medicine, has been around for thousands of years. It is safe, effective, non-invasive and can address many health concerns including chronic illness and pain. 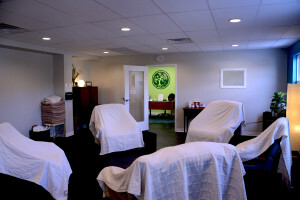 The community setting provides a supportive and relaxing environment in order to help promote healing. Our location, in the heart of Towson, allows for easy access via car or public transportation. Our goal is to make acupuncture available for everyone, regardless of financial situation so our fees for acupuncture treatment are charged on a sliding scale. Each individual can choose the fee that fits their ability to pay. CAT was founded as a social business. As a member of the Peoples Organization of Community Acupuncture, we wish to bring social change to healthcare by providing affordable, effective and accessible acupuncture in a community treatment space. If you are a medical professional and would like to refer patients to us, please fill out that contact form below and we will contact you with details. Please refer to Conditions We Treat for a list of articles on commonly treated conditions seen in our clinic. Last appointment is scheduled one hour before closing. share your email to get acu-deals & education! © 2015, Community Acupuncture of Towson.